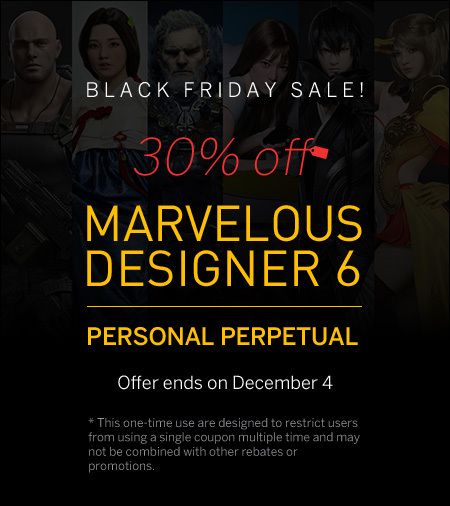 Heads up: Marvelous Designer Black Friday Sale is on. This would bring price to 0.70*USD550.- = USD 385.- If you considered buying the program this may be the occasion. A version for Steam is announced to be available for USD 320.- as promotional offer. Of course the 30 days free trial offer is still on so you can try until 04 December before you buy. Beware howeer: it is not sure if the closure on 04 December is Korean time or US Pacific.